Quick, healthy, TASTY recipes for busy veterinary professionals. Visit this page every week for a new recipe. What's cooking tonight? Even vets & nurse have to eat! I decided to take a bit of a risk today ... And introduce a new series of blog posts that I’ve been thinking about for a while. They won’t exactly be about managing or working in a veterinary practice. 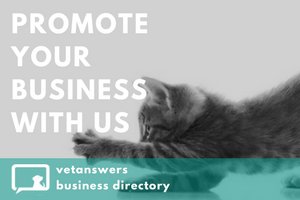 In fact they won’t be about veterinary business at all. They’ll be about ….cooking! Another absolute family favourite. Quick to make, quick to cook and everyone loves them. These chicken wings are a great alternative to the fast food variety. This is a fantastic Friday night dinner and if you cook enough, you’ll have lunches sorted for the weekend too. Another family favourite recipe that's not too complicated, uses basic ingredients from the pantry AND leftovers make excellent lunches in salads, wraps or sandwiches. As summer has a last gasp in some parts of Australia this quick salad makes an awesome dinner & leftovers an even better lunch! When the nights get colder, there's nothing better than hot soup for dinner or lunch. Soup can sometimes take time to make - but this one's different. Once you've got the ingredients it should only take you about 10 minutes to cook. We always have a batch of these on hand - they're excellent for breakfast on the run, snacks or even missed meals. Even better they're so easy to make my 16 year old son makes them. Oh..my..goodness. These are amazing! As the evenings are getting cooler this lovely little dessert is easy and quick to make and tastes fantastic. Best of all it doesn't make you feel stodgy afterwards. Cooler mornings mean that something warm for breakfast is always preferable to cold cereal or boring toast! This recipe is so easy my children make it all the time. This one's a winner! You can eat them as a quick breakfast or a healthy morning tea - just don't eat them all in one day! 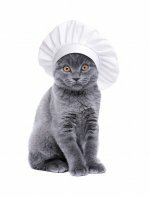 Quick, healthy & TASTY recipes for busy veterinary professionals. It's Easter which for many people means CHOCOLATE!